There are two types of rail travel passes that visitors to Paris may be interested in. Learn about the details of these passes and choose which is right for you. If you want to avoid the hassle and purchase a Paris transportation from the US, you can get the Paris Visite Pass, which is specially designed for tourists and also offers discounts on museums and tours. The Paris Visite Pass is available online. The Paris Visite is available in 1-, 2-, 3-, and 5-day versions for Zones 1 to 6. Navigo is the name of the replacement for the Carte Orange transportation pass. It covers transportation on trains, the RER, and the metro in the Paris area chosen by the recipient. The current pass includes transportation within Paris and suburbs, airports Charles de Gaulle (CDG) and Orly (ORY), Chateau Versailles, Fontainebleau, and Parc Disney. 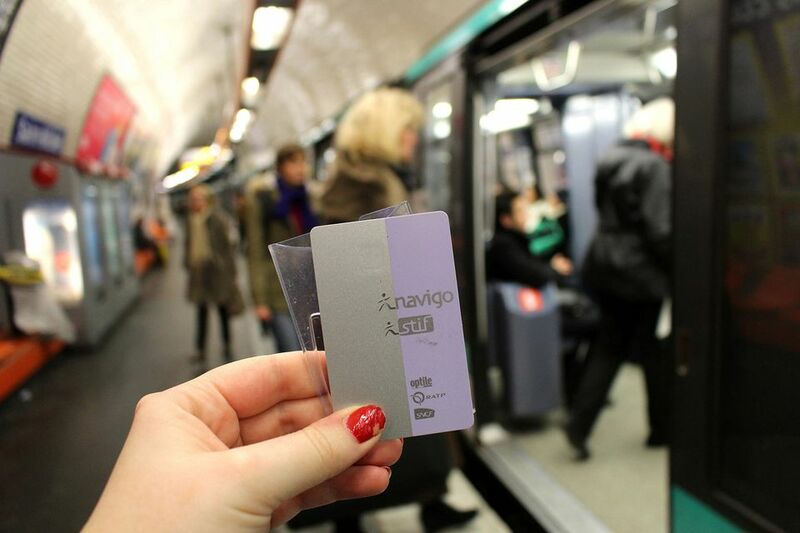 Tourists can purchase a Navigo Découverte pass at almost any Metro, RER, or Transilien train ticket window that normally sells tickets and passes in Paris. There are currently two versions of the Navigo pass, the standard Navigo and the Navigo Découverte. The Navigo pass is reserved for the locals, but anyone can purchase a Navigo Découverte—although, as with the Carte Orange, sellers of the popular transportation pass may try to discourage foreign tourists from purchasing a Navigo Découverte, leading them to the more expensive but more flexible Paris Visite Pass. For a Navigo one-week pass you'll pay €5 fee ($6 USD) for the card itself. Then you'll need to add the cost of the transportation coverage you need. You will need a picture of yourself for the pass, 3cm high by 2.5cm wide which is smaller than passport size. You can purchase them in photo kiosks near the ticket windows that sell passes on the Metro, RER and Ile-de-France trains. You can purchase a Navigo at ticket windows from a metro or RER station or authorized resellers (like some local tabacs). There are machines at stations as well, but they won't accept credit cards in non-Euro denominations, some travelers complain. The pass starts on Monday morning with the first cars and ends on Sunday. This may impact tourists not arriving in Paris on Monday. Hassled When Buying a Pass? Despite what a ticket seller might tell you, you do have the right to purchase and use a Passe Navigo Découverte. "Elle est ouverte à tous (Franciliens et non Franciliens)" states the document, the pass is open to all.